Probably the most important thing that you need to have, is a Michigan Fishing License. This can be purchased at a local sporting goods store, Meijers, Big Lake Outfitters in Saugatuck, or you can click the link click here to buy one online from the Michigan DNR. 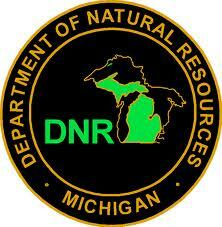 For those of you that do not have a Michigan Drivers License, make sure you check the “Buy a DNR Sportcard for $1”. The instructions are vague and it can create confusion when obtaining licenses online. When it comes to fishing equipment, you don’t need to bring anything. We will supply all fishing rods, reels, net, bait and tackle. If you would like to bring some of your own gear that is ok too. We love to lose other people’s lures – Just Kidding! your trip with us more enjoyable. Bring a cooler for food and drinks. Also, it is perfectly OK for you to bring beer, wine or liquor. But most importantly, bring a large cooler for your fish or at least something to carry home all the fish you are going to catch with us! We will clean the fish and package the fillets in zip lock bags. You probably already paid for the trip but you should make sure you have some cash in pocket so you can tip the First Mate. Being a Mate on a charter boat is not easy work and they deserve every dime they get. Tip them well! A duffle bag is a good idea to bring for carrying your rain gear, extra T-shirt, hat, camera, or any other personal items that you bring on the fishing trip. Bring sun glasses. Preferably polarized fishing glasses to lessen the sun’s glare that reflects up off the water. This will also help you see the fish you will catch as they approach the boat while you are reeling. Bring a camera to take snapshots of your catch. Video cameras are also welcome on the boat to capture the charter fishing action. Bring a ball cap or a fishing hat to protect you from the intense sun. Remember the water intensifies the sun’s glare and can cause you to burn much quicker than on land. For more information about regulations, you can also visit the Michigan Great Lakes Salmon and Trout Fishing Regulations – Click Here to view the current regulations for fishing on Michigan waters in the Great Lakes for Salmon and Trout.